Scaling: The periodontist first removes the upper level of infected calculus. Root Planing: Next, he smooths the root to reduce the ability of new bacteria to adhere. 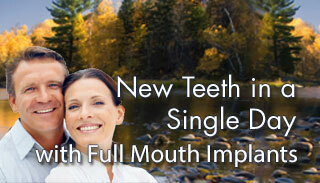 Phase II treatment is typically advised when a pocket has formed under the gum. This is a result of the infection dissolving bone. If this has been caught in time and the tooth can be retained, surgery can help by reducing the pocket - sometimes, with pocket reduction surgery, bone grafting and/or guided tissue regeneration.